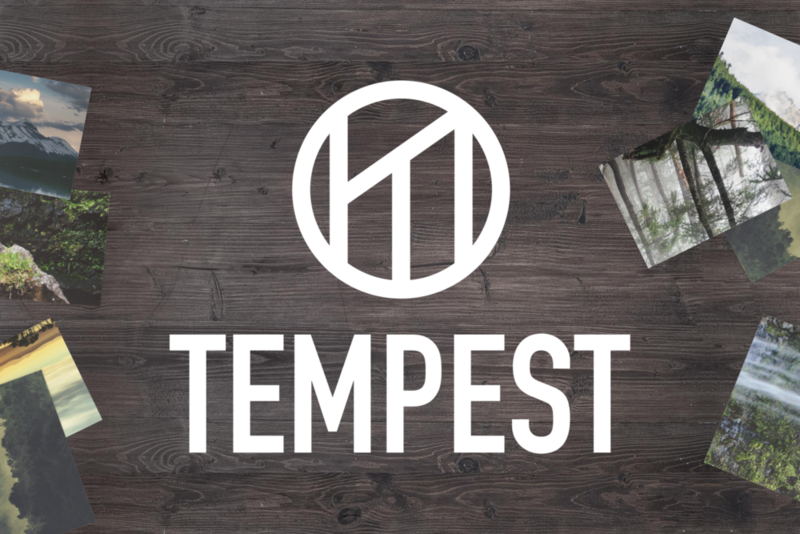 A fictional outfitter, Tempest is an outdoor gear company that required an approachable yet trustworthy brand. It was important to convey that the outdoors are for everyone and that Tempest gear is reliable on and off the trail. The mark functions in a variety of settings including ad campaigns, stationary, in stores, and on gear. Strong and simple, it is meant to be a recognizable symbol of Tempest alone, in a lock-up, or inverted and easily spotted on their products. To inspire others to get outside, the ads use images of magnificent destinations paired with larger-than-life text and the Tempest mark. Tempest gear is the soul of the brand so its packaging needed to show off and not detract from the products. As a result, the mark takes center stage and packaging is made from reuseable materials. When it comes to Tempest, simple imagery is used to convey simple living, inviting everyone to adventure every day. 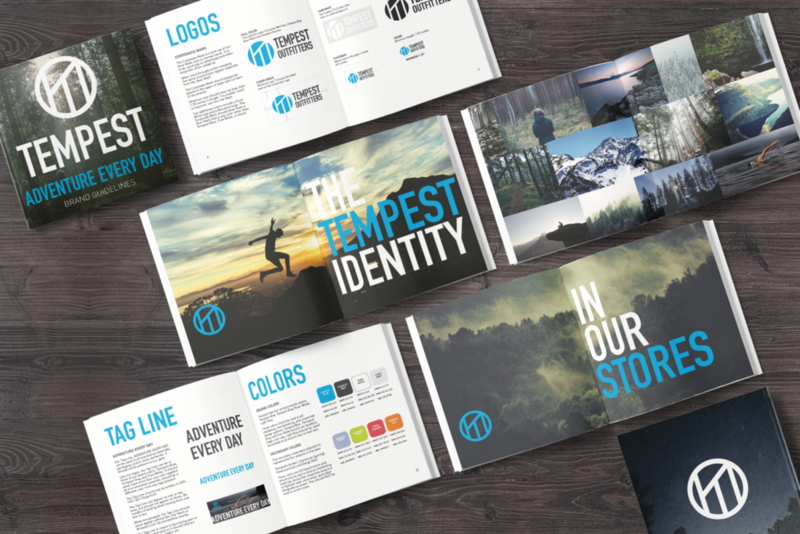 The Tempest logo needed to function in a variety of settings—ad campaigns, in offices, in stores, and on gear on the trail. It also needed to be eye-catching in the wild. The line mark is meant to be the recognizable symbol of Tempest, with the inverted, more substantial version used on gear. Knowing that the gear will be tossed around in the outdoors, I wanted to ensure that even with wear, it would still be recognizable. Tempest has four primary brand colors, all used in all marketing, merchandising, and corporate design systems, with four secondary colors to represent the four seasons of the year. Seasonal colors are to be used in store or marketing materials during their respective seasons to highlight sales, store areas, and other designated purposes. Tempest is about experiencing the physical world and there is no better way to represent that than with photographs. In lieu of boxes of color, Tempest uses nature itself to provide support to its marketing materials and in-store signage. All photos should represent the Tempest lifestyle: adventurous but attainable.